(CNET) ZHENGZHOU, China - If you want to understand why iPhones are made in this corner of the world, look no further than Li Yue. Late Sunday night, the Taiyuan factory, with more than 79,000 workers, was roiled by violence. Foxconn said "a personal dispute between several employees escalated into an incident involving some 2,000 workers," leading Foxconn to suspend operations at the plant for a day. 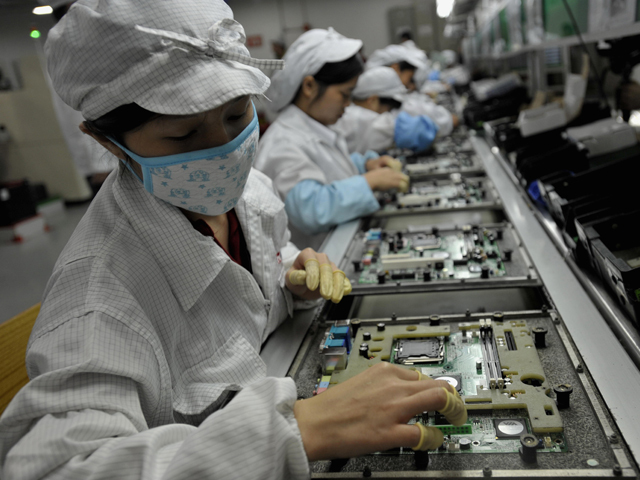 While Chinese authorities are investigating the cause of the riot, Foxconn said that it "appears not to have been work-related." Apple (AAPL) declined to comment on the riot. This post by Jay Greene originally appeared on CNET. Jay Greene, a CNET senior writer, works from Seattle and focuses on investigations and analysis. He's a former Seattle bureau chief for BusinessWeek and author of the book "Design Is How It Works: How the Smartest Companies Turn Products into Icons" (Penguin/Portfolio).